Few tasks in Photoshop are more grueling and menial than trying to work the selection tool around people. Now Adobe is using AI to do something about it. The company shared a glimpse at a new “select subject” tool at its Adobe MAX Japan event, and it’s precisely what it sounds like. 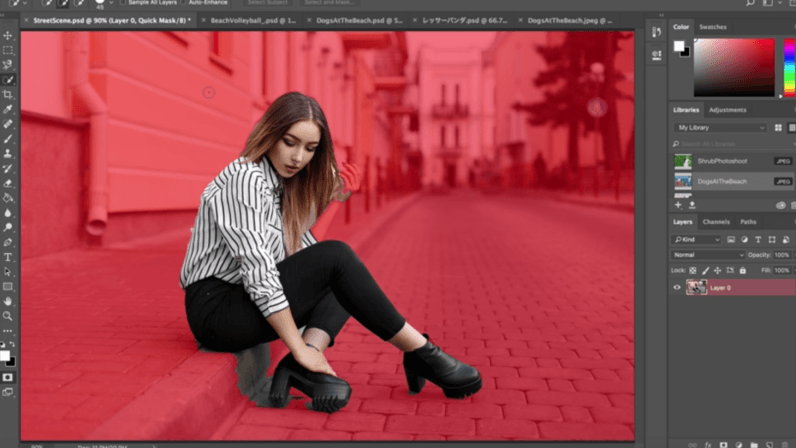 Though Photoshop already has a myriad of selection tools, this is the first one that can work around subjects in one click. Of course, it’s not perfect. Even in Adobe’s own examples, you can see areas where the AI gets it wrong around small elements or weird edges – kind of reminiscent of using portrait mode on a smartphone. Still, the tool is just meant to be a starting point – one that will save you a ton of time over toiling away with a pen or lasso tool. The company doesn’t say when the feature will arrive other than in a future update to Photoshop CC, but what a future that will be.